To enable an enduring off-world settlement for the long term, we will need to create resistance that is better integrated into the lives of space travelers. Linear isolated muscle group exercises currently performed are not engaging the whole body leading to an overall imbalance in an astronaut’s physique whilst on long duration missions. 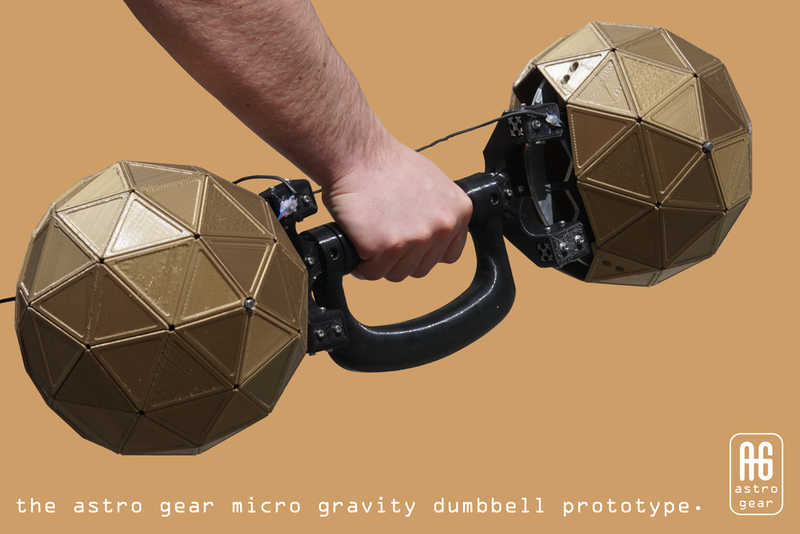 The astro gear micro gravity dumbbell has been created to improve astronaut health by utilising gyroscopic planar resistance to offer complete freedom of movement, joint stabilization and improved grip strength to allow astronauts to exercise as if they are using free-weights. Emphasising both small and core muscle groups, enhancing the linear exercise program currently performed on the ISS. currently perform using devices like the A.R.E.D device on the ISS. 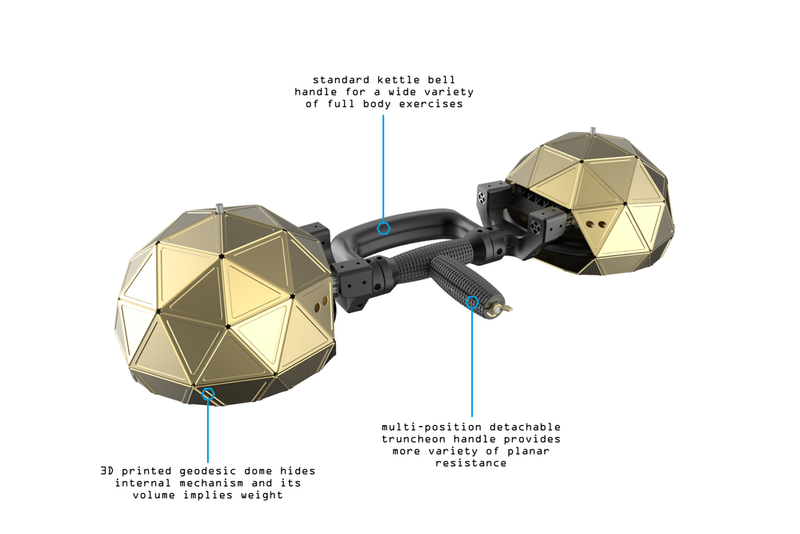 The device is intended to find unique resistance paths that do not rely on gravity allowing the user to invent fun new exercises to improve their functional fitness. However it is recommended that the user performs the exercises shown to get a feel for using the device. The user can increase/decrease RPM’s of flywheel to alter the resistance based on their level of fitness, allowing them to incrementally build & maintain a robust physique for space travel and sustain workout duration.